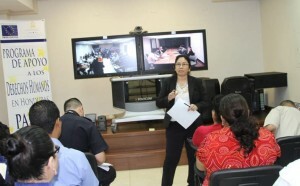 On May 11, 2015, AIPR co-organized the second videoconference between the governments of Honduras and Argentina specifically on the topic of prevention. The activity, Tools for the Implementation of a National Plan Against Discrimination with a Focus on Mass Atrocities Prevention, was organized with the Directorate of Human Rights of the Ministry of Foreign Affairs and Worship of Argentina and the Directorate of Human Rights, Justice, Governance and Decentralization of Honduras, with assistance from AIPR, which serves as the Technical Secretariat of the Latin American Network for Genocide and Mass Atrocity Prevention. The event functioned as a continuation of an initial videoconference, which took place in October 2014. The preliminary session detailed the progress made in planning and implementing the Argentine National Plan Against Discrimination. This second videoconference was divided into two parts: the first consisted of a general presentation of the National Plan, while the second half was comprised of an interactive dialog between officials of the Argentine and Honduran governments. Participating civil servants were drawn from the Honduran Secretariat for Human Rights, Justice, Governance, and Decentralization, the National Registry of Persons, the National Institute of Professional Education, the Security Secretariat, the National Commission for Human Rights, and the Secretariat of National Defense through the Department of Human Rights and International Humanitarian Rights. 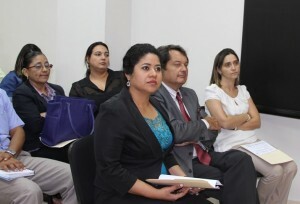 Representatives from the United Nations Development Programme, the Embassy of Argentina in Honduras, members of civil society from the Center of Prevention, Treatment, and Rehabilitation of Victims of Torture and Their Families, were also in attendance. Throughout the videoconference, presenters highlighted the importance of cooperative work between civil society and government institutions. Following the conference’s conclusion, representatives of Honduras and Argentina agreed to the development of joint activities with the technical support of Argentina’s the National Institute Against Discrimination, Xenophobia, and Racism.